As a licensed clinical psychologist in Manhattan, my central priority is to bring happiness and well-being to your life by restoring your mental balance. I want to help you break free from old habits, develop healthy coping skills, and find new ways to respond to life’s challenging situations. I specialize in treating a range of mental health conditions including depression, anxiety, OCD, PTSD, bipolar disorder, borderline personality disorder, grief/bereavement, family and marital conflicts, personality disorders, addiction, interpersonal conflicts and problems, and more. I also provide educational testing for children and adults, including neuropsychological testing, ADD testing, psycho-educational evaluations, emotional functioning testing, and personality testing. In therapy, we will use a customized combination of evidence-based techniques to provide insight into what is challenging you and create change in your life. Click here to learn more about what to expect in therapy. To make an appointment with Dr. Daniel Winarick, or to learn more about therapy or evaluation, call today, or just fill out the contact form and click Send. I received my M.A. and Ph.D. in Clinical Psychology from the Derner Institute of Advanced Psychological Studies, Adelphi University. Prior to that I received my A.B., Psychology Major, from Washington University in St. Louis. I completed pre-doctoral clinical training at Bronx Children’s Psychiatric Center/Albert Einstein College of Medicine, Morgan Stanley Children’s Hospital of Columbia University Medical Center/New York Presbyterian Hospital – Children’s Emergency Psychiatric Services. I also undertook an adult inpatient externship at the Haven Unit at Weill Cornell Medical College of Cornell University/New York Presbyterian Hospital – Payne Whitney Westchester. After completing my doctoral dissertation research on the validity of the differential diagnosis of schizoid and avoidant personality disorders in the DSM series, I partook a clinical internship at the New York Psychoanalytic Society and Institute (NYPSI) and in affiliation with the Icahn School of Medicine, Mt. Sinai Hospital Center – New York City. I continued my clinical training as a clinician in the Treatment Center of NYPSI for my postdoctoral fellowship in clinical psychology and worked as a Postdoctoral Research Fellow in the Pacella Center of the New York Psychoanalytic Society & Institute (NYPSI). At NYPSI, I earned a research grant for a study examining the use of a quantitative narrative-content based scoring method known as the Core Conflictual Relationship Theme. During my postdoctoral fellowship, I received an appointment as Assistant Clinical Professor, Department of Psychiatry, Icahn School of Medicine, Mt. Sinai Hospital and contributed to the research program of the Mood and Personality Disorders Lab at Mt. Sinai. 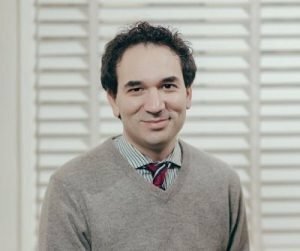 Currently, I am a licensed clinical psychologist working in private practice where I provide integrative-dynamic and personally tailored psychotherapy as well as conduct comprehensive psycho-educational evaluations for children, adolescents, and adults at my offices on the Upper West Side and Upper East Side of Manhattan. In addition, I am an Assistant Adjunct Professor in the Department of Psychology at Queens College-City University of New York where I currently teach psychometric testing and advanced clinical psychology courses.